We survived daylight savings in Europe, far better than we did in the US! Regardless, I woke up this morning craving an American cup of coffee. I do love the espresso here, but today I wanted more volume. So we stopped into a cafe as usual, but today I ordered a caffe americano and I splurged on a nutella waffle. Joe didn’t stray from the usual espresso and pastry. After a morning of sight-seeing, we came back to the apartment around lunch time to put Emily down for a nap. We just snacked at home before venturing out again in the afternoon. 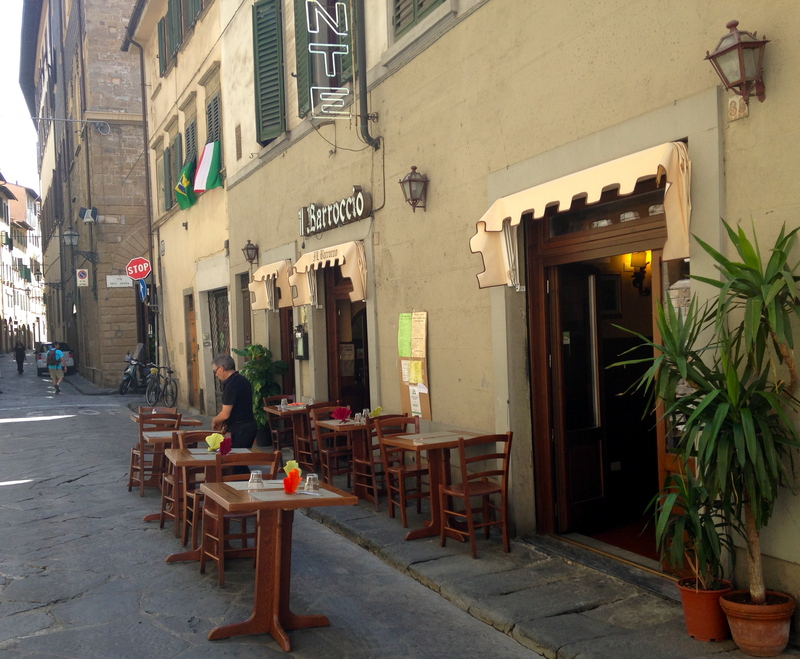 We stopped into a pub to watch some soccer and then grabbed an early dinner at a restaurant that was recommended to us by our apartment owner, Il Barroccio. We didn’t branch out much from a variety standpoint with this dinner, but both dishes came recommended by our apartment owner and the waiter, so we decided to get the tagliata di manzo con rucola e parmigiano (steak with arugula and parmigiano reggiano, all drizzled in balsamic vinegar) and the ravioli ai funghi e tartufo (mushroom & truffle ravioli). Our table was set up on the sidewalk of a quiet side street and the weather was gorgeous. We split a half bottle of Chianti again. I do wish half bottles were more readily available at restaurants in the US. It is the perfect amount for dinner! 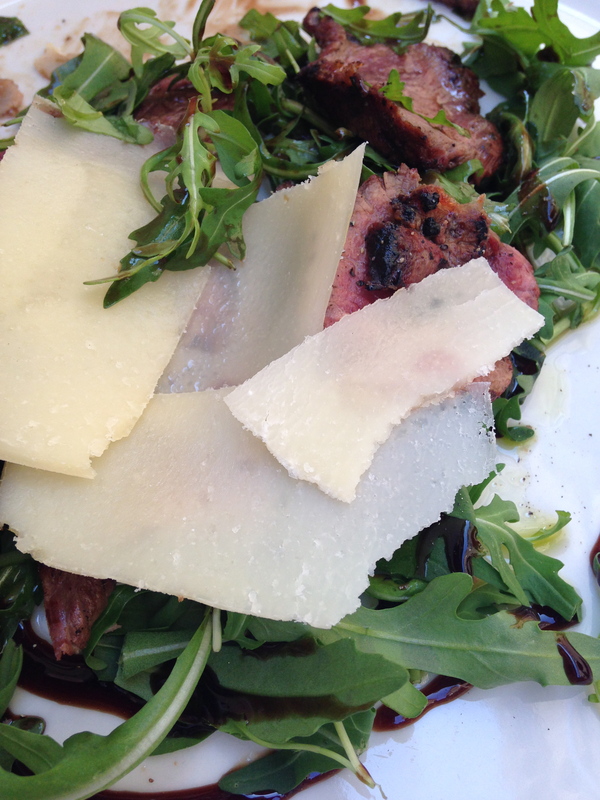 The tagliata di manzo was even better than the first we tried earlier in the week. The steak was very tender and the balsamic was rich and sweet. 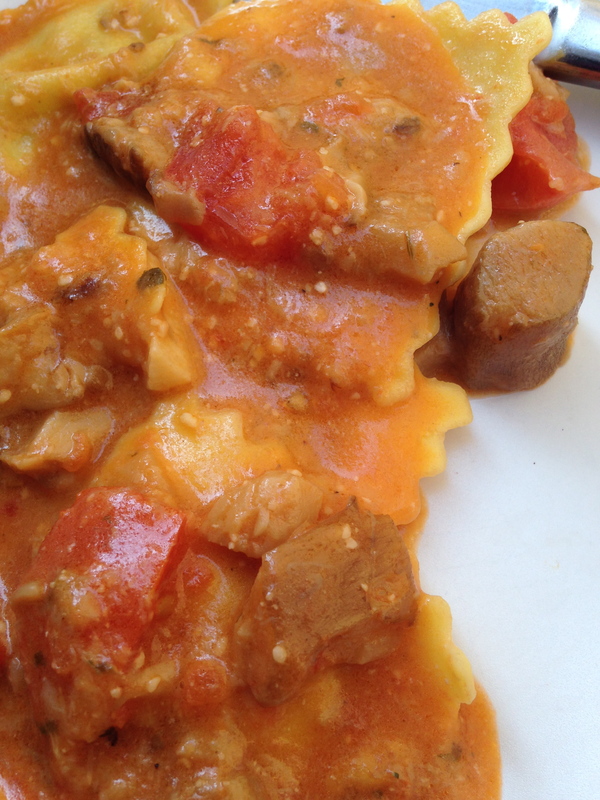 The ravioli was not as good as the other pastas we have had. The pasta was extremely soft and the dish wasn’t extremely flavorful. 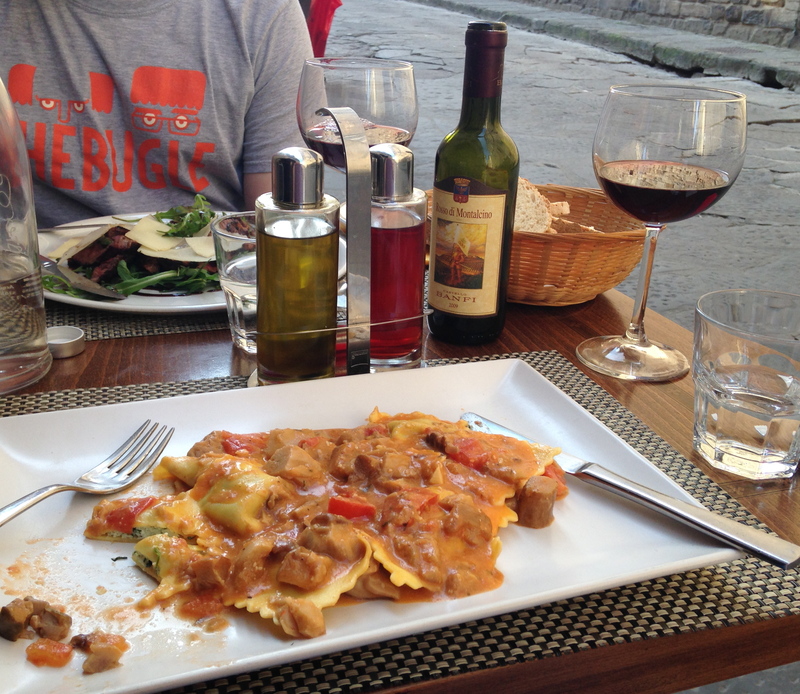 But “not great” pasta in Italy is nothing to complain about! We certainly still enjoyed it. 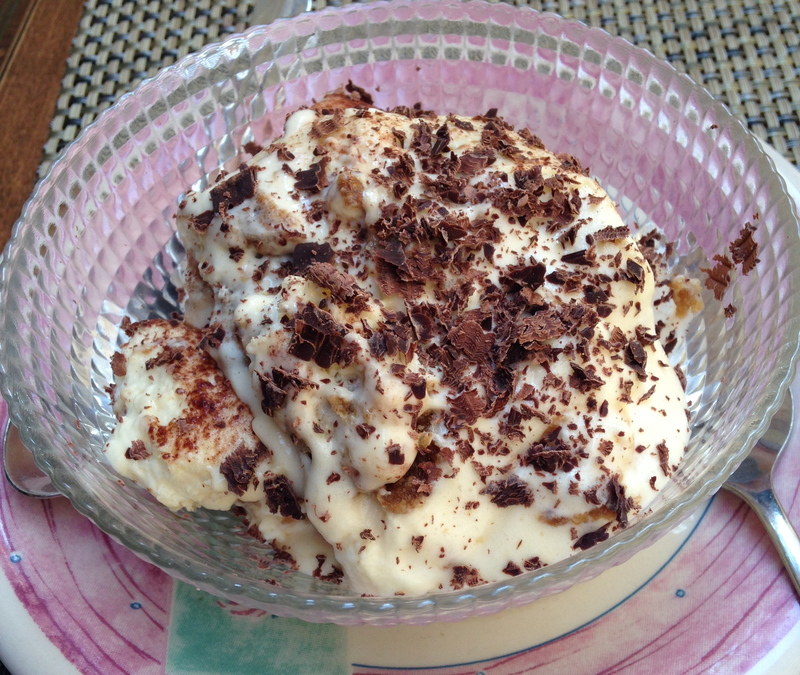 At the end of the meal, we splurged on Tiramisu. This one was again more focused on the mascarpone cream than the lady fingers, which is what both Joe & I prefer. And Emily loved it too!